Destination marketing is all about identifying the right audiences. And if you’re a Convention & Visitors Bureau, you’ve probably honed in on a few keys groups: regional weekend-trippers, international visitors, business travelers, and generally anyone who lives outside your borders. It makes sense—you need to reach and connect with out-of-towners and turn them into visitors. But many destination marketers overlook a crucial demographic that’s literally all around: the locals. While potential visitors will always be the primary focus for CVBs and DMOs, the importance of your local audience can’t be overlooked. It’s imperative for DMOs to meaningfully engage with locals and know how to leverage that relationship to bring in more visitors. Why should DMOs connect with locals? DMOs have limited time and budget, so why spend time connecting with locals? Because your best marketing efforts won’t mean much unless the people who actually inhabit your destination are just as interested in welcoming visitors as you are. In general, people trust word-of-mouth more than traditional marketing tactics. When it comes to travel in particular, visitors look to their peers (not organizations) for recommendations. Connecting with locals will enable you to promote your destination through others instead of to others. This is key for reaching younger generations. These digital natives are more wary of traditional advertising than other groups—and that probably include your DMO’s marketing efforts. However, they’re much more open to recommendations from their peers: 52% of Facebook users said that a friend’s travel photos have inspired their own travel plans. Getting locals onboard can help you showcase an authentic representation of your destination and better reach your target markets. Travelers are looking for a more immersive experience. Visitors to your city no longer see themselves as tourists. 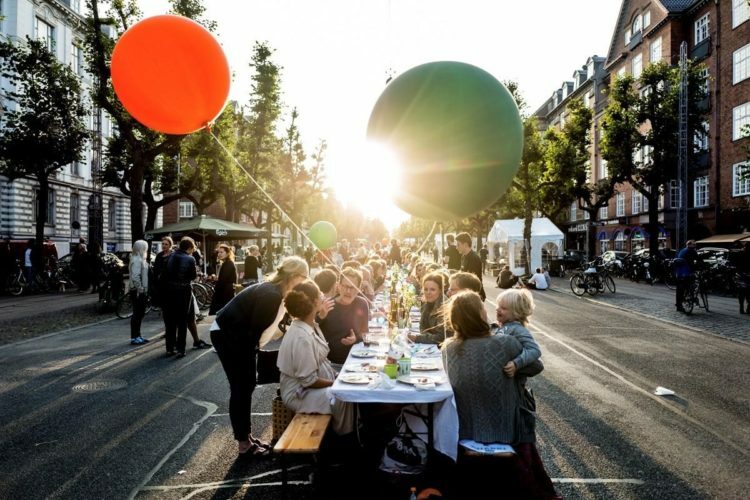 They want to see themselves as “temporary locals,” as Wonderful Copenhagen says in their 2020 strategic plan. Who better to help them do that than actual locals? The people who most deeply understand the unique, authentic experiences that tourists want are the ones who live there year round. These local insights will be invaluable when you’re creating content, marketing collateral, and itineraries to help visitors find those unique experiences they crave. Why do people visit your city? Sure, there’s the food, the culture, the attractions. But the primary motivator for a lot of visitors is they already know someone there. In fact, visiting family and friends accounts for a substantial amount of worldwide travel, including more than a quarter of international trips. That’s why your organization needs to help turn locals into advocates who encourage their loved ones to visit, stay, and go out in your city. Partner with local influencers and micro-influencers. Identify popular social media accounts in your city and look at what type of content they post regularly. Then, find ways to incorporate your message in a way that feels natural to both the influencer and your city’s brand, and let them create content that showcases your destination. For example, Choose Chicago recently launched Insta-Worthy Weekends. The campaign showcased locals (who happen to have prominent Instagram followings) as they explored Chicago with an out-of-town friend for the weekend. The marketing team created custom itineraries that meshed with each influencer’s interests, so it complemented their existing social presence while highlighting key areas of the city. Curate and share user-generated content. Visitors no longer want to see just your version of your destination—they want to see it through the eyes of locals. Your digital presence should reflect that. Find and share great content created by the people who live in your city, whether it’s a beautiful photo or an interesting blog post. In a bid to reach millennials, Explore St. Louis created a microsite populated with user-generated content and short, unscripted interviews with local influencers about their favorite spots in town. 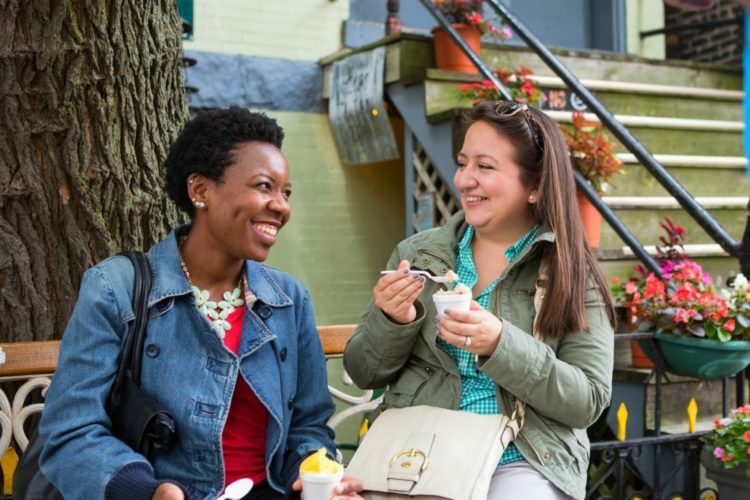 By showcasing local content, they gave millennial tourists the authentic insights they crave and encouraged residents to give their city some love on social. Get locals involved and interacting with visitors. While a bulk of your efforts will be digital, it’s also important to consider what’s happening offline. Connecting locals and visitors in real life will help visitors find those authentic experiences that they’re looking for, show them the very best of your city, and turn them into repeat visitors. One successful example of this is the Chicago Greeter program. Visitors to the city are connected with friendly locals who give them a (free!) insider’s orientation to their city. Tours can even be customized based on neighborhoods and interests. Last year, Chicago Greeters helped more than 4,000 visitors become locals for a day. Become a reason to visit. Promote or host events that get locals excited about their city. Try sponsoring or planning an event geared toward locals that highlight the very best of your destination. The goal is to create something that locals will want to share on social and invite their out-of-town friend to so they can show off their city. The Wonderful Copenhagen team deeply understand this mindset and has crafted much of their strategy around it. They’re shifting from destination marketing to destination management—looking for ways to improve their destination for both locals and visitors to have the best experience possible. 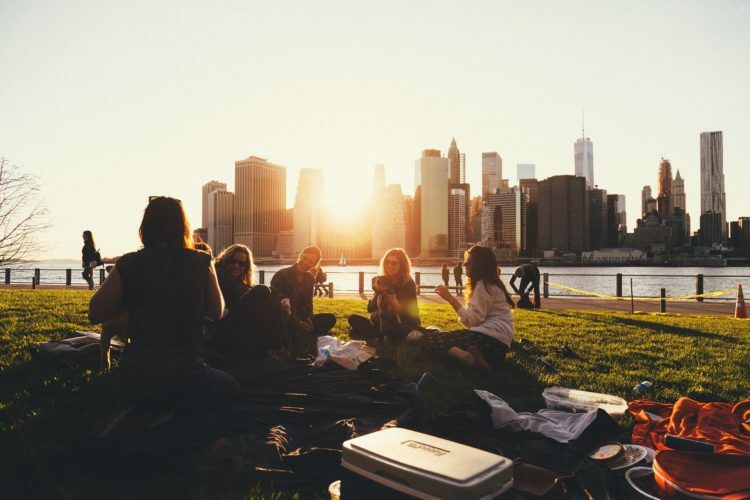 To make the most of your marketing efforts, engaging with locals can help you better communicate a more authentic, welcoming image of your city—and, therefore, bring in more visitors. By actively curating original and shared content, partnering with individuals and fostering goodwill of the people who live in your location, you’ll get the locals on your side in no time.